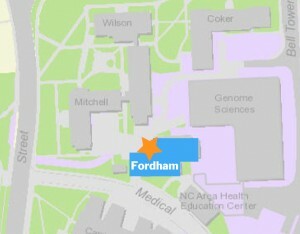 The Bautch Lab is located within Fordham Hall at the University of North Carolina at Chapel Hill. the Rams Head Deck on Ridge Road. Public parking information can be found here.